This present church is relatively modern, being built in 1910. The building that it replaced was a mission church made of tin in 1897, which is still used, albeit as a meeting hall. In November 1909 Mrs. A.W. 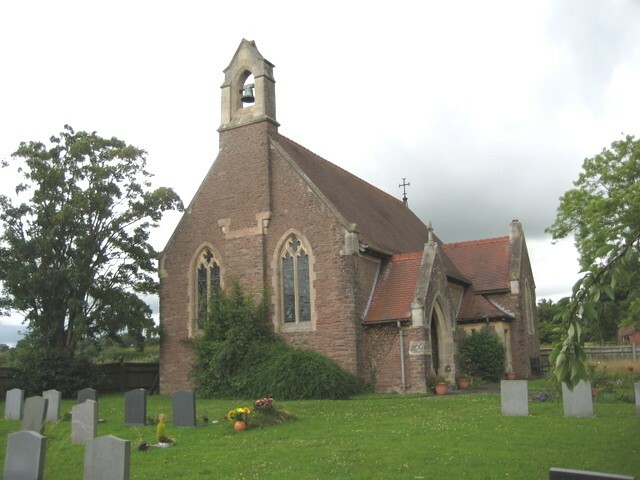 Walker laid the foundation stone for the new church, and it was the generosity of herself and her husband (a donation of £1000) and the gift of the site by Thomas Evans, that made the building of the new church possible. The church provides seating for 112 people, and is of the Early Decorated style.